The best alternatives to HostGator hosting are not necessarily those nearest to it in style and services. In fact, if you want to move away from HostGator, you might consider moving from EIG companies completely. EIG is the Endurance International Group that owns HostGator, Bluehost, Apollo Hosting, FatCow, eHost, HostMonster, JustHost, PureHost, iPage and many others. If one goes down they might all go down, because they all share servers. However, in many other respects, each of these web hosting companies operates independently and has its own benefits and disadvantages in comparison to the others owned by the EIG group. For example, many users that have tried both believe that Bluehost’s support team is more responsive than that of HostGator. Others feel that HostGator is the better overall in terms of performance and speed. The following web hosting services are all reasonable HostGator alternatives in terms of price, services, control panel and support. However, because everybody has their own expectations of a web host, it is rarely possible to suggest a true alternative that will suit all HostGator users. One of the issues here is that HostGator, Bluehost and DreamHost are all excellent web hosts when we are discussing low to medium range prices. Very few people are prepared to pay over $20/month for standard web hosting for their blog. Here are 5 potential alternatives, of which only Bluehost is a similar EIG company. Arvixe is not as well known as those above, but it offers an excellent service and worth considering as an alternative to HostGator hosting. Arvixe is a privately held company with some excellent reviews, and is extremely reliable and affordable. Support is by live chat, 24/7 U.S. toll-free telephone and an online ticket system. The service gets mixed reviews, though by and large they are favorable. Prices for personal hosting start at $4/month for 2 years advance payment to $7/month for monthly payments. For that you get unlimited disk storage and bandwidth, but a maximum of only 6 domains. You can get unlimited domains/websites for an additional $3/month ($7 for 2 years advance payment or $10 for monthly). That’s immaterial to you if you are running the one blog. The Arvixe control panel is CPanel, with the usual unlimited email addresses and easy software installation. A very popular feature with Arvixe is that you get a free domain name registration for life – and you can transfer this away to your choice of provider at a later date if you wish. Arvixe web hosting gets reasonable reviews, and at the price charged is worth a try as HostGator alternative. This is not part of the EIG group Arvixe is part of EIG group and appears to be very similar to the other cPanel services currently available. Those that like it tend to love it, but some reviewers have reported downtime. It also offers VPS and dedicated server services. Namecheap is a reliable web hosting service that is available for as little as $3.98/month for one year advance payment. There is no monthly payment option, although you may be able to negotiate one. For this you get unlimited bandwidth and can run up to 5 different websites. You can install WordPress using the one-click installation service available on the cPanel control center. Namecheap advertises over 99.9% uptime, although in reality downtime is very rare. Fundamentally, what you get with HostGator, you also get with Namecheap, although disk space is less. While you get unlimited storage space with HostGator, you have to pay $13.98/month for Namecheap’s Ultimate service to get that. With the $3.96 shared hosting service you get 25 GB hard disk storage and up to 5 hosted websites, and for $7.48 you get 100 GB storage and up 26 websites. This compares with HostGator, where for 2 cents more each month you can run as many websites as you like from the one account, and have unlimited bandwidth and storage space. Namecheap also offers unlimited bandwidth with all levels of web hosting. Support comes in the form of 24/7 Live Chat and a ticket-based online support service. However, Namecheap does not apply taxes so what you see is what you pay – not so with HostGator, as explained below. So the HostGator price advantages are not necessarily what they appear to be. It depends if you are in Texas or the EU. Taxes are applied by HostGator in each of these areas. Bluehost do the same. More on this later. An advantage of Namecheap is that it is a highly respected domain name registration service. If you prefer your domain name registrar and web host to be one and the same, then Namecheap is a good choice. InMotion Hosting offers a 90-day money-back guarantee, which gives you plenty time to evaluate the service before you make a decision. Any hosting service offering this length of guarantee must be confident of the service it provides. Like most others, uptime is guaranteed to be 99.9%, but in reality is significantly lower than this. Like HostGator, InMotion Hosting offers the four popular hosting services: Shared hosting at $5.99/month, VPS at $29.99, dedicated hosting at $119.99 and reseller if you want to run your own web hosting service at $13.99/month. The $5.99 hosting plan offers unlimited bandwidth and hard disk storage, but you can run only 2 websites. Go up to $7.99 and this increases to 6 sites, but you can add 26 parked domains. Support comes in the form of a 24/7 Live Chat service, email, toll-free telephone or an online ticket system. Check out our InMotion Hosting Review here. Like HostGator, Bluehost is part of EIG group, although each web hosting service is said to act independently. There is plenty of evidence to support this claim, particularly with regard to service and support. However, it does seem that they share servers, because it is not uncommon for them to share server downtime. Nevertheless, of those that have used both hosting services, there are many people who prefer HostGator and many others who prefer Bluehost. Bluehost prices start at $6.99 for 36 months in advance to $9.99 for 12 months – so you pay a minimum $119.88 to get started with the lowest level of hosting. However, just as with HostGator, you get unlimited storage, bandwidth and websites/domains. Bluehost also offers VPS hosting from $24.99, Dedicated Hosting from $149.99 and Optimum WordPress hosting from $29.99 – these prices are for 12 months advance payment. Monthly terms are available at higher prices. Bluehost support comes in the form of 24/7 Chat, toll-free telephone and an online ticket system. Being part of the same group does not necessarily suggest that Bluehost and HostGator offer fundamentally the same service. There have been good reviews of each published online, and it is known that their support services are independent of each other. Naturally, there will likely be cross-use of servers, but while this can lead to common instances of downtime it also implies that downages are less likely than if your hosting company was independent without backup. We have reviewed Bluehost on TechLila – Check it out Here. Another web hosting service is DreamHost. This is similar in a way to HostGator and Bluehost, but since we have compared these three together in an earlier blog there is little to be gained by repeating that now. Here is a link to a comparison of HostGator vs Bluehost vs DreamHost. This should give you more insight into the differences between these three popular web hosts, two of which are part of the EIG group. Site5 hosting is another cPanel hosting service. 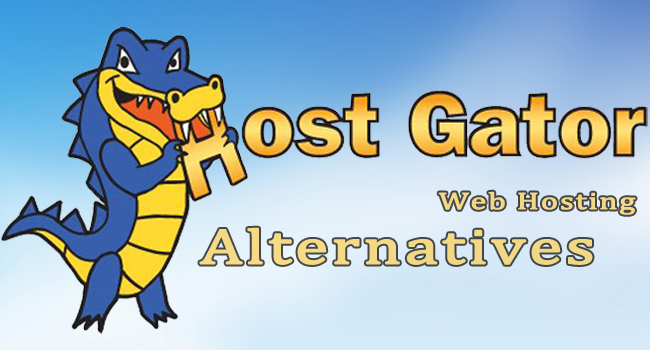 Since we are discussing alternatives to HostGator, it makes sense to discuss those with the same cPanel system as HostGator provides. Personal web hosting starts at $4.95 for one website with unlimited disk storage and bandwidth. This is for 24 months advance payment, increasing to $5.95 for 12 months. There is no monthly payment arrangement on offer. You can get unlimited websites/domains for an extra $4/month. In this case, you can pay monthly, although the price increases to $10.95/month. This seems high in comparison to HostGator’s apparent $7.96 for a single month. We say ‘apparent’ with regard to HostGator prices because you must check pricing very carefully! Always look for qualifiers attached to web hosting prices. With HostGator, this comes in the form a star attached to the price. When you check this out you find that it includes a 20% discount for your first invoice. So $7.96 is really $9.95, and $11.96 is really $14.95 after the first payment. Suddenly Site5 Hosting does not appear so expensive. This applies to the first invoice, which could be for three years or a single month, depending on the payment period you choose. Taxes may also not be included: On EU IP addresses, HostGator states that VAT is not included. The same is true of customers in the state of Texas. State tax is not included, and must be added to the price. HostGator is not obliged to collect tax for any other states or countries other than Texas and EU member countries. Customers based elsewhere are responsible for paying their own taxes. This does not appear to be true of all web hosting services. Namecheap and Site5 Hosting, for example, do not apply any VAT charges to their advertised prices. However, you should check for any services based outside or inside the EU to determine whether or not VAT is included in the quoted price. Along with Texas state tax, it might not be. The reason for not doing this might be to avoid quoting a variety of ‘tax-included’ prices for countries and states with a variety of different VAT, sales and purchase tax rates. Texan companies can avoid this by providing a relevant tax exemption certificate. VAT-registered EU companies can avoid paying value added tax if they provide their VAT registration number. The best alternatives to HostGator web hosting are those that provide you with what HostGator provides or more at a price that suits you better. Quite frankly, there is little to choose between the various HostGator options, and what is best for somebody else might not be best for you. When discussing alternatives, there is little point in comparing the differences in the range of services offered by HostGator and the alternatives, because you might need only one of those services. We could compare shared hosting, VPS or even dedicated server hosting services – but which do you use? There is not a lot to choose between the various alternatives, and the choice would be a personal one based upon your needs. Do you run one domain or 10 – or even 100? Do you do a lot of downloading, play games or watch a lot of movies or videos? 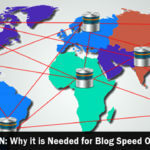 Do you need more broadband/file transfer capacity? Do you have you a whole heap of files that you have to store? Do you prefer cloud storage? Do live in the USA, Asia or the UK? Do you need CPanel included or can you add your own control panel? These are just 8 questions of the dozens that could be asked of anybody seeking a shared hosting service – and we have not yet discussed VPS or dedicated servers. It is very difficult to compare services in general terms. However, for standard web hosting for a WordPress blog, the above options are all good viable alternatives to HostGator hosting.